58213 • Tamiya Ferrari F310B • F103RS • (Radio Controlled Model Archive) • RCScrapyard. 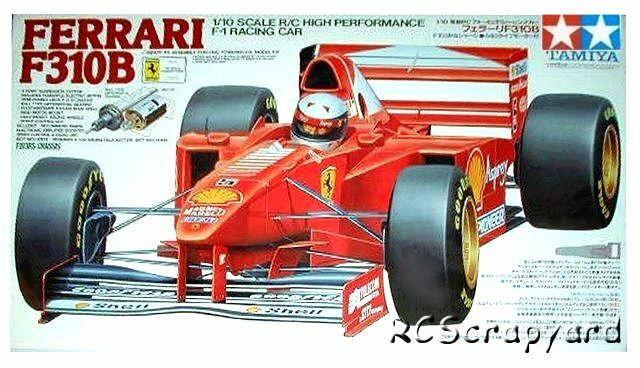 Released by Tamiya on March 18, 1998, this self assembly Radio Controlled Formula One Model, based on the F103RS (Racing Special) Chassis, is that of the Ferrari F310B driven by Michael Schumacher in the 1997 Formula One Season in which he was disqualified. Some considered the F103RS to be a vast improvement over the basic model, but for me, even with the upgrades it was only marginally better and not worth the extra cost. 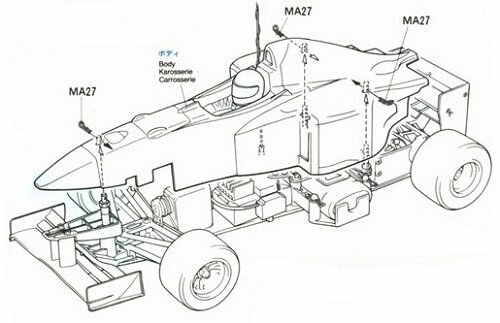 It was cheaper to upgrade my old F103 with the damper adjuster and a set of ball bearings … I loved that car.